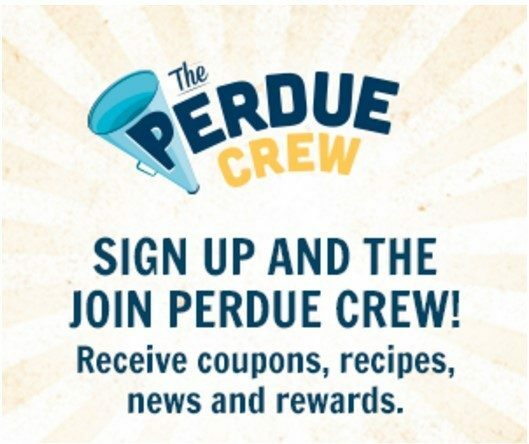 Join Perdue Crew And Win A $100 Amazon Card And More! You are here: Home / FREEbies / Join Perdue Crew And Win A $100 Amazon Card And More! This is a sponsored post that contains affiliate links. I received compensation in exchange for promoting this campaign. Perdue Crew has gotten a makeover! Now through July 31st, The Perdue Crew will be giving away Steel Salad Spinners, Full Cookware Sets, and a bunch of $100 Amazon Gift Cards! Plus play our virtual scratch-off game. Just head on over and sign in with your Twitter or Facebook. Once you’ve signed up, you can submit and share cool recipes and content with your friends and earn points. Hurry, the prizes are only available while supplies last! • Every 500 points earned = an entry into a scratch-off instant win prize. Earn points, go to perduecrew.com, and play the scratch-off instant win game. Every time you scratch, you are eligible to win one of ten (10) $100 Amazon gift cards! Limit 20 scratches per member per cycle. • Anyone who participates at all this month is entered to win an 11-piece Cookware Set. • The top 3 ideas submitted will each win a Steel Salad Spinner. • The top 3 recipes submitted will each win a Steel Salad Spinner. • And finally, 3 randomly selected recruiters will each win a Steel Salad Spinner. Every verified friend you recruit into Perdue Crew = another entry into this drawing.